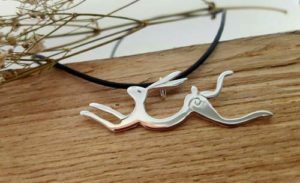 Welcome to Lucylou Designs – the home of an exclusive selection of stunning contemporary handmade silver jewellery entirely made to my own unique designs with a hint of magic. As a member of the Guild of Jewellery Designers I am here to help you to stand out from the crowd – be unique: you won’t find my stylish handmade silver jewellery designs on the high street! 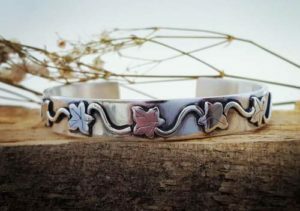 Elegant and wearable, and often quirky, the range includes unusual silver bangles, pendants , rings and more to be seen in the shop. An affordable and refreshing alternative to mass produced jewellery. My jewellery all comes packaged in a beautiful Lucylou Designs branded jewellery presentation box, so it’s ready to give as a gift, or keep as a gorgeous treat for yourself! Quality is important which is why my work is hallmarked by The London Assay Office in accordance with the hallmarking act. 100% silver, 100% handmade, 100% lovely! I love what I do, and I hope that you will too!